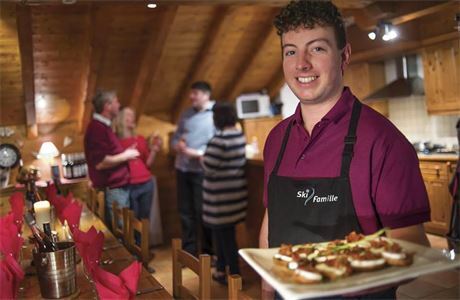 Ski Famille is one of the UK's leading providers of family ski holidays. We are independently owned and have a strong reputation for our attention to detail and high levels of service. 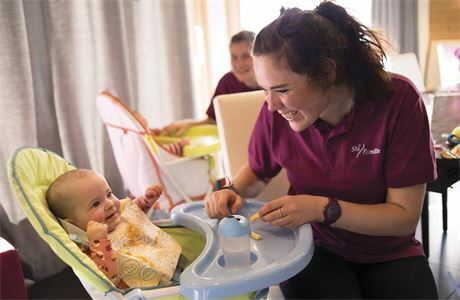 Our optional a la carte Childcare, is provided in our catered chalets in the picturesque resorts of Les Gets and Les Menuires and La Plagne 1800. Each year we look for confident, creative and fun people to join our resort team. We need all sorts, including Managers, chefs, chalet hosts, drivers and childcare staff. We don't care if you're young or old as long as you show that you want to meet our high standards. There's a great social life, with bars and clubs and a good number of people from Britain who are also out in the resort working for the season. But primarily it's a full time job in the tourist industry and staff must remember they're in resort to provide a great level of service to our clients. Les Gets is part of the Portes du Soleil ski area - claimed to be the largest linked area in the world. There are 12 resorts in France and Switzerland, all joined by a network of lifts. Grass covered slopes, the proximity to Mont Blanc and a battery of snow cannon give Les Gets a snow record which is the envy of some much larger resorts. They have the biggest local ski area on the Portes du Soleil network. We have chalets in Reberty and Bruyeres. Reberty is a small hamlet of wooden chalets sitting beside a blue run in the heart of the Three Valleys. The village sits at 2000m*, above the modern resort of Les Menuires. 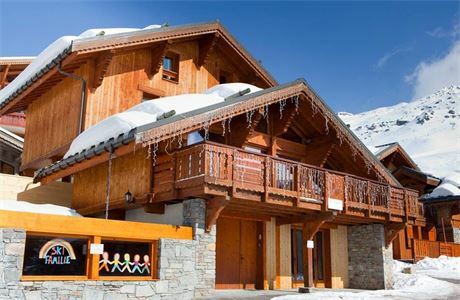 All of Ski Famille's chalets are very short traffic free walk from the piste, ski school and nearest lift. They also have breathtaking views of the surrounding mountains. Nearby Les Menuires, whilst not the most attractive resort in France, is packed with family friendly facilities including an indoor sports centre with a large pool and spa facilities. There are family orientated events going on throughout the season and shuttle buses run from Reberty Village to the centre of Les Menuires every 20 minutes. The Three Vallees is the largest ski area in the world which is connected solely by ski lifts and slopes. It has more than 600 km (410 miles) of ski slopes, resulting in 18.5 km2 of groomed runs. Les Trois Vallées has 183 ski lifts. There are terrain parks in most of the resorts. The Three Vallees includes the resorts of Val Thorens, Meribel, Courchevel, La Tania, Les Menuires and Saint Martin de Belleville. We also have chalets in La Plagne. 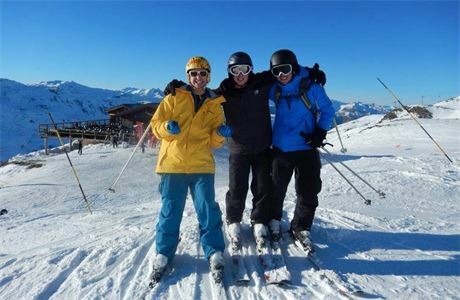 We operate out of Plagne 1800, which is a great base for families. The Paradiski ski area is one of the largest ski areas in Europe and lies in the Tarentaise Valley, the home to some of the best known European ski resorts. The ski area incorporates all 6 villages of Les Arcs and the 6 villages of La Plagne. You have access to the whole Paradiski area with 160 lifts and 425 km of pistes. Over 70% of the area is above 2000m which means plenty of snow throughout the season, and you can ski from village level all the way up to 3250 metres. There are a high number of British seasonal workers in the French Alps, so you should have no problem with finding a friendly watering hole.